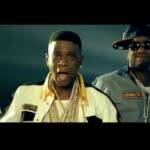 Wake N' Watch: Lil' Boosie f/ Young Jeezy & Webbie "Better Believe It"
He stole the show on 2007's "Wipe Me Down (Remix)" and Webbie's 2008 hit "Independent," but it's actually been three long years since Boosie Bad Azz had an album of his own. To celebrate his return, the pride of Baton Rouge recently dropped this new single with another one of Complex's favorite rappers, Young Jeezy. Come to think of it, Boosie's been in the game for a decade now (he released his debut at the age of 16), so hopefully this video is a sign that his long-awaited LP Super Bad: The Return of Bad Azz is actually dropping this year. You better believe it!